Whenever I look at a minimalist design a sense of peace and beauty immediately creates in my mind. I just could keep staring at it for hours! In a table setting, one of the elements of a successful minimalist design is the appropriate cutlery. Sleek, essential and functional are the main ingredients to look for. 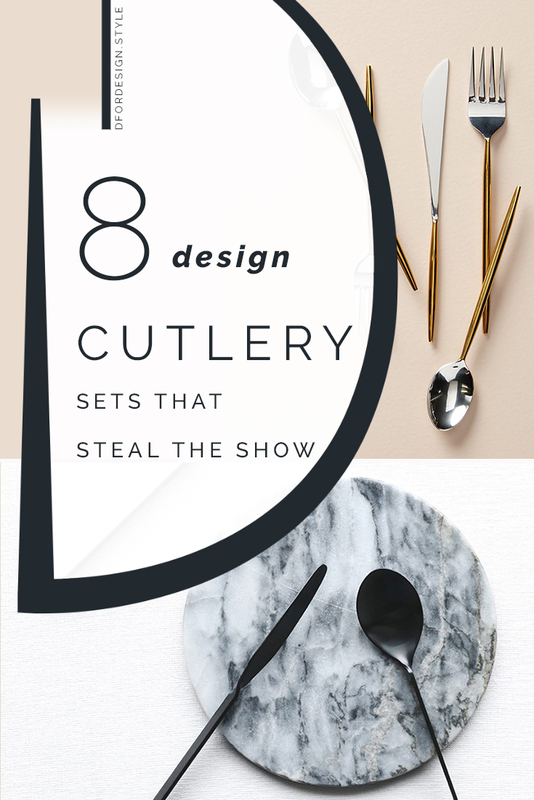 And they all apply to the examples below, 8 of my favourite cutlery sets for a perfectly minimalist table setting. 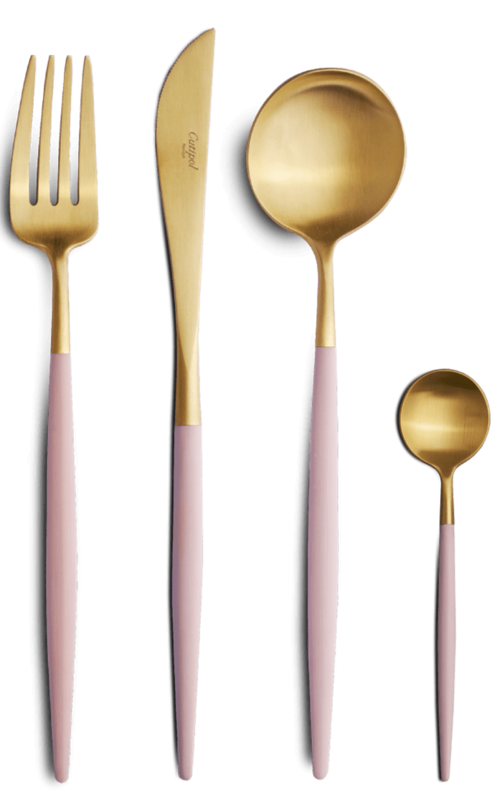 Tapered and rounded, the Bettina cutlery set by Alessi joins minimalist design with a touch of fun, that definitely does catch the eye. 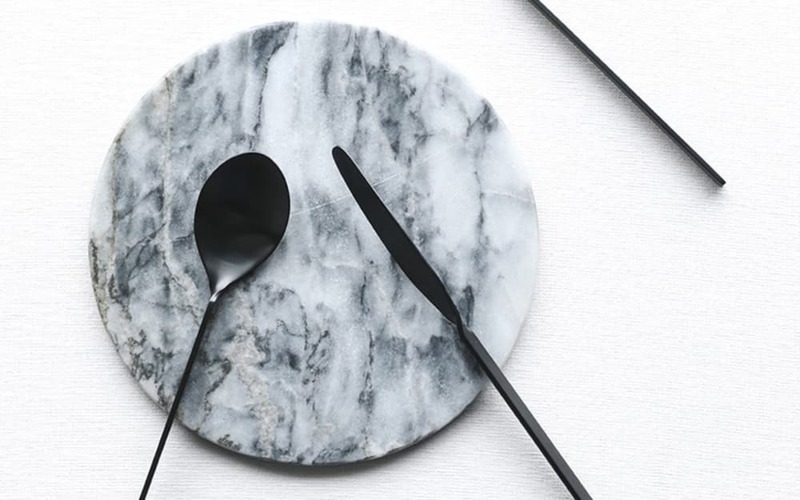 Perfect to add movement to a minimalist table setting! The very elongated and streamlined figure of the Dragonfly cutlery by Fortessa gives it a certain touch of majesty, that would fit the most elegant minimalist table settings. Personally, I love the sinuous shape of this knife! Meet Goa by Cutipol. Such a fantastic example of minimalist design! 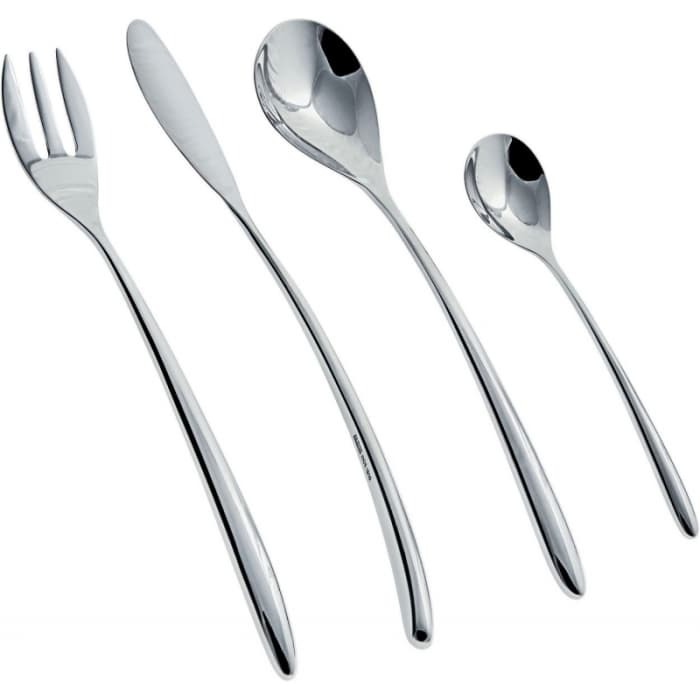 A super long handle, ending with a gently rounded fork, knife or spoon. The choice is among gold, silver and rose-gold, and several different options for the handle colour are also available. 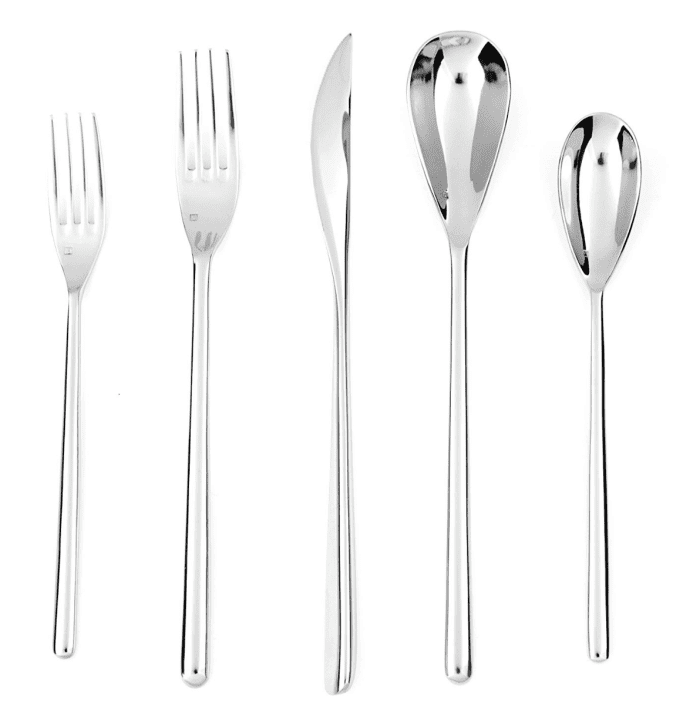 With its modern-elegant look, the Goa cutlery set is perfect for both everyday use and more put-together table settings. And it would look amazing in the minimalist kitchen of my dreams! Added to my wish list! A touch of wood is a good idea for any style, and minimalist design is no exception. The stainless steel body of this cutlery by Zara Home is covered with a wood-looking finish that would add warmth and texture to a modern table setting. 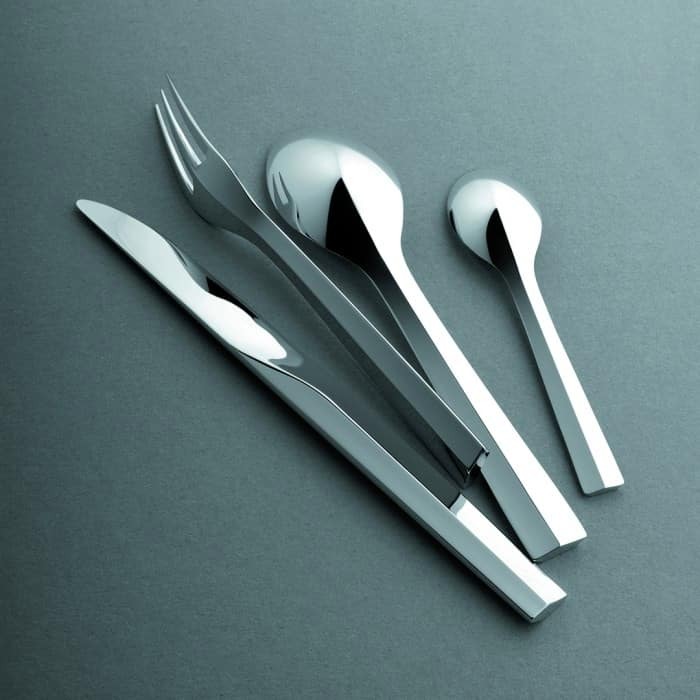 Developed by the French designer Patrick Jouin, Zermatt is a cutlery set where minimalist design merges with a sculptural shape. The pointy edge on the back makes for a unique feature, that manages to be effortless and sophisticated at once. Another great option to give character to the most minimalist table setting. And another one added to my wishlist! 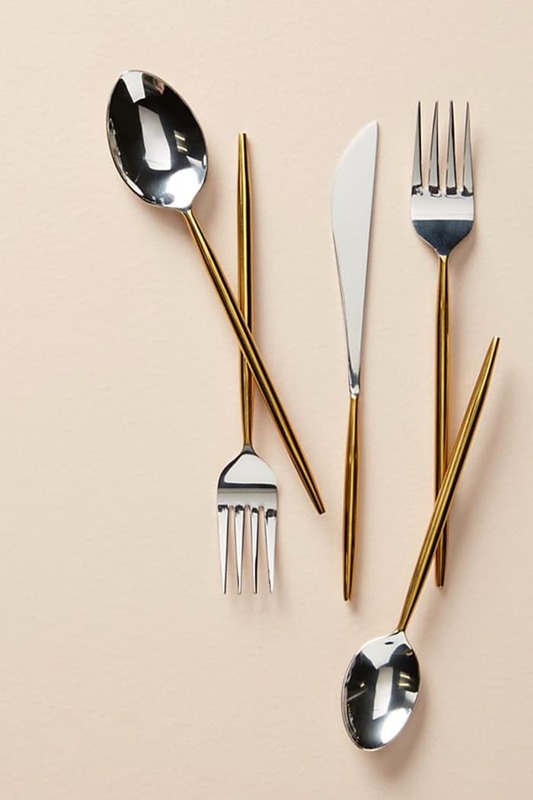 Minimalist in shape and shiny in colour, this cutlery from Anthropologie is the perfect one for those that struggle in choosing between silver and gold. This makes me think of a minimalist kitchen with streamlined shapes paired with precious touches of gold, lovely! 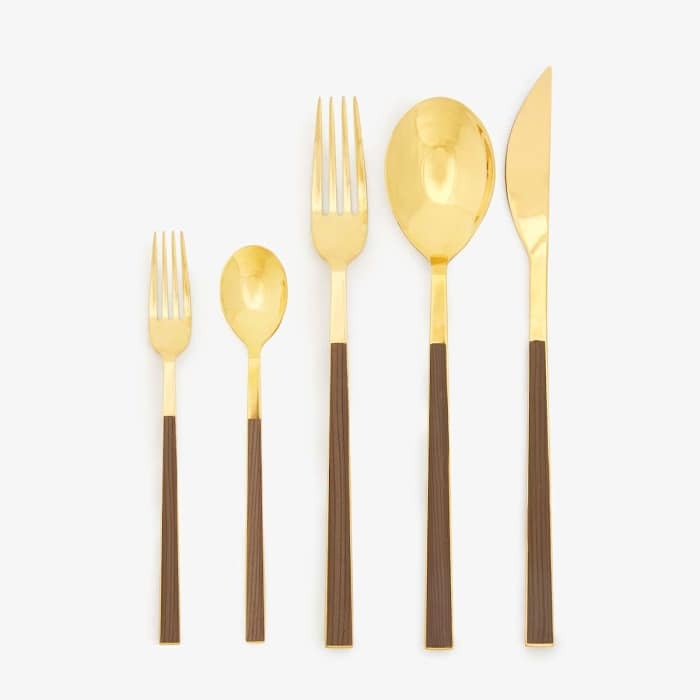 Super tapered and thin figure for the Doma cutlery set, again by Anthropologie. 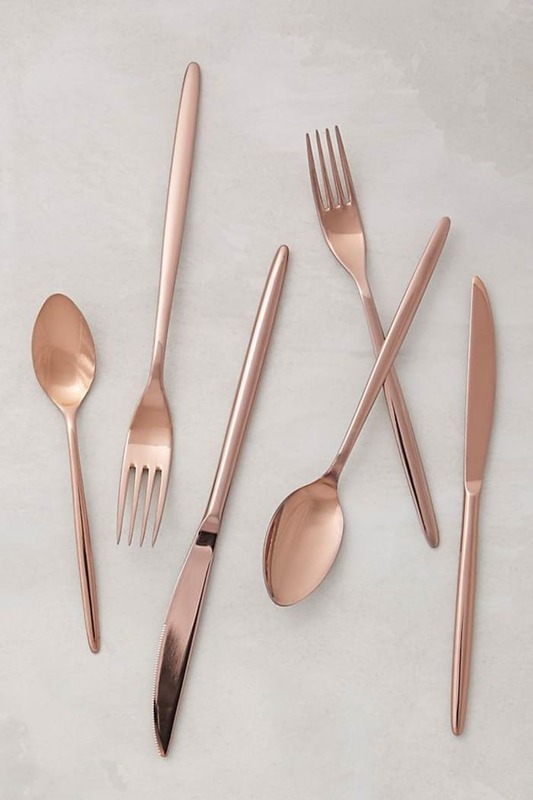 And that hint of pink would be the perfect metal addition to a minimalist table setting! 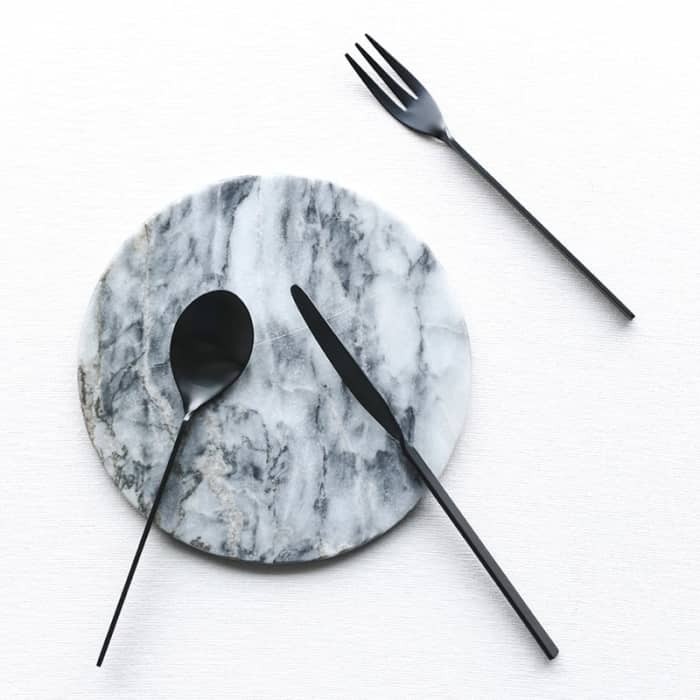 A list of minimalist cutlery would not be complete without a black one. And Malmö by Miguel Soeiro is the perfect example. The twisted feature on the top adds a unique decorative touch and gives to the handle a particularly ergonomic setup. A great example of effortless elegance! My wish list is getting long! With all these options there’s plenty to choose from to come up with a great table setting! A good menu and it’s all ready to entertain!